Stay for 3 nights, very friendly hotel staff, knowledgeable about the attractions around. Front desk staff all are very competent to assist with day trip or car rental booking. Nice pool for a dip the tropical weather too. I travelled with my best friend to Fiji. This is my 5th or so trip but was my friends 1st. Aquarius was such a lovely place to stay for us! The room was clean, food and cocktails were great and a great price, and the staff were all absolutely gorgeous. Would definitely recommend and be back on my next trip with my family! 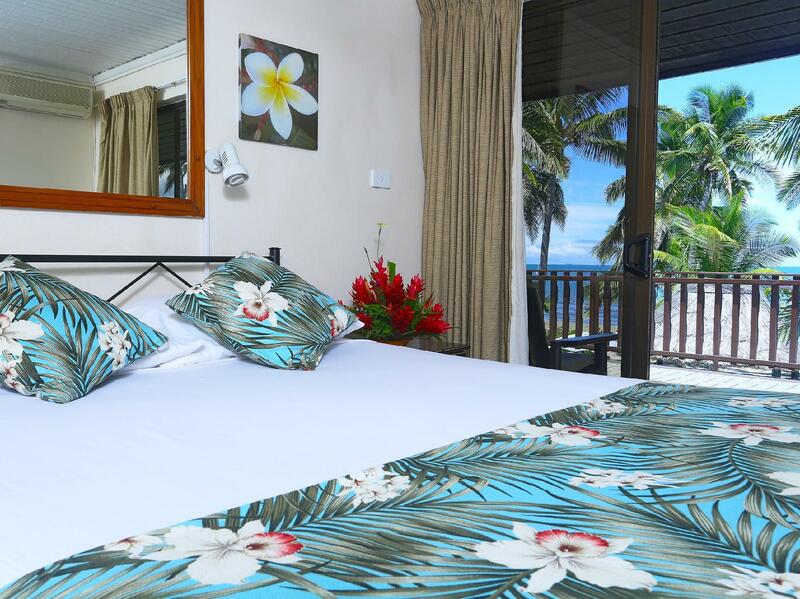 Vinaka vakalevu Aquarius staff for your hospitality. Many hotels in Nadi do not have a beach. Aquarius is right on the beach next to the pricey Ramada. This two storey, maybe built in the 1950s, is of good value. Staff is great, friendly and helpful. Thank you Annie and Leslie. I’d suggest a power strip with USB slots for charging (I’ve suggested that with all our accommodations). Tv channels were not entertaining but the gift shop has more current movies to watch provided on a USB stick for 2.50 FJD. Onsite restaurant provides a menu of variety foods. A special of the evening includes an appetizer and main for 26 FJD, about $13 USD. Bar drinks, wine, beer, and mixed are available. Pool towels provided. We decided to spoil ourselves a little for our last day in Fiji, and we were glad we did! This place had everything you would need for an ok price. The food was especially good, much better then expected or then the other restaurants in the street. We only stayed one night on our way to the airport but it was basic and comfortable. We didnt eat there instead we chose to walk down the beach to the travellers cafe which was cheaper. The room was small but comfortable. A great a budget stay. I really like this small hotel on the Fiji mainland. 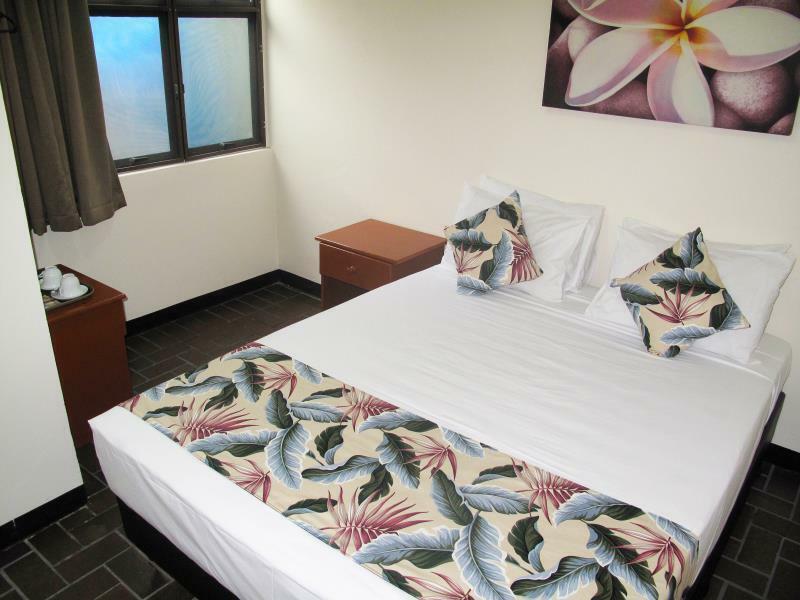 It was clean, near the beach (50 meters walk to the ocean) and the staff was very friendly. The shower worked perfect. The room (double bed) was the right size. I would definitely stay again. We had a fantastic 1 week stay at Aquarius on the Beach. The staff truly make this boutique hotel a pleasure to stay at. Traveling with a 1 year old can be a challenge but the staff were so helpful all the time and helped with our baby above and beyond. The room was well appointed, clean and had all the amenities we needed to stay comfortably. We also thoroughly enjoyed the food, as we ate their often. Chicken curry and the pancakes especially were our favorite. We tried several other restaurants nearby and they didn't match the quality of Aquarius. Lastly the pool and location/proximity to the beach were great as we were just steps from the ocean. Thanks to everyone at Aquarius, we will be back soon!! My husband booked two nights here at the end of our stay in Fiji. We actually only needed the one night but we found booking another night through Agoda was cheaper than paying for a day-use room. We stayed in Room #6 with a balcony and a great little view of Nadi Bay. The room was clean and simple - no frills which was just fine with us. At check in we were greeted by Paula - what a wonderful welcome and introduction to Aquarius. From the greeting to the kava ceremony to check out Aquarius was a great place to unwind and prepare for our journey back home. There were no closets and not much storage for bags and luggage but they did have a few hooks with hangers to hang up any clothing. It didn't bother us since we were there for such a short time - longer staying occupants might not like that though. The food and drink at the hotel was delicious and very reasonably priced. Soaking in the pool was delightful. If we're ever fortunate enough to pass through Fiji again we'll be sure to stop by! Vinaka vakalevu! For sensitive ppl, uts not really good here i could heard noosy sound from airport in my room..... Its a bit similar to guest house rather than hotel. Next door guest house had party with lots of ppl(It seem like all the guests around there join the party!!) It will be suitable if you want to talk to other guest. Aquarius on the beach was so well located and very pleasant. Our room was in the car park so probably not the best room (12) but we had a good nights sleep and felt quite safe and secure. Dinner was basic for me, vegetarian, but it was good. The beach is literally at the end of the property, my poor spacial awareness would suggest 25mts.Would definitely recommend and definitely consider returning. That was wonderful. This is a cheaper version of Denarau(we stayed there last year), not that luxury, but still you can participate in the similar stuff. Wailoaloa beach is more "local", cheaper, than the Denarau. Comparing both beach, honestly, i found they are similar. But the hotels at Wailoaloa are small, more like guesthouses. 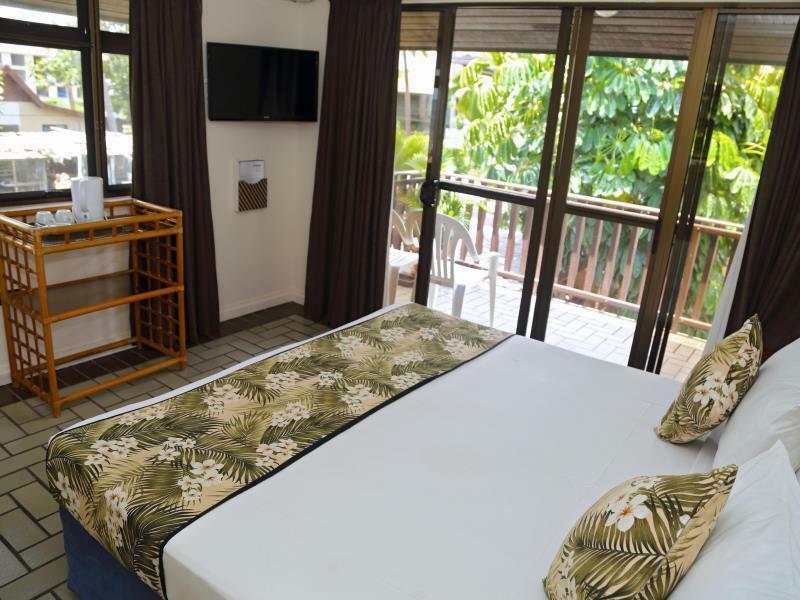 While those on Denarau are deluxe and "branded". Horse riding here is cheaper than Sigatoka. Dining here is much cheaper that Denarau. And the fire show is FREE! If you can, book the ocean view room, worth it! Awesome view of beach while sitting at the restaurant. Very friendly staff, including the 3 men singing songs during the evening, and offering kava to guests. Rooms are basic but clean and comfortable. We spent one night here before we few out. The beach appeared dirty but it maybe how it naturally occurs, just not appealing. Nice swimming pool but needed to replace their beach chairs. Room and dining area was nice. I went with Aquarius instead of Smuggler's Cove to save a few bucks but I walked through both and wish I'd booked Smuggler's. Aquarius was fine and was right there on the water but the facilities overall are quite small. I was in the two-bed dorm with the en suite and the bathroom was really dank, musty and had ants so it didn't feel very clean. The bedroom was rather small, also dank because of the en suite, and bed was rickety. It was fine for just one night since it's close to the airport, but I can't imagine staying more than a couple days. Great place to stay very affordable and had friendly staff( who were very good with my 7 year old daughter). Fire show was also great entertainment. Only negatives were the wifi was intermittent (though staff did respond when I complained) and they needed children's food on their redtaurant menu. Will definitely be back on my next trip to Fiji. Vanaka to all the staff that made our trip enjoyable. 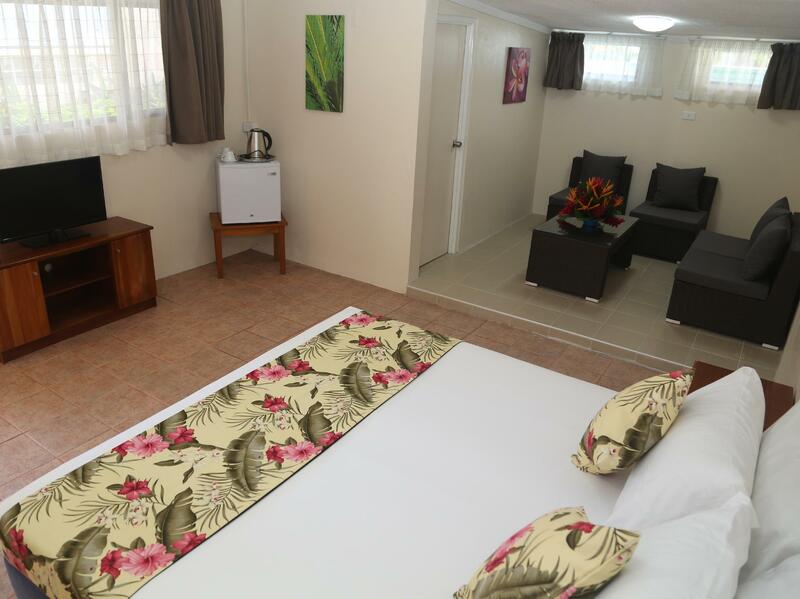 Affordable accommodation and meals with great views, sandy beach and the friendliest staff. The meals were fantastic and well priced with specials every day and free entertainment Friday, Saturday & Sunday night. Great atmosphere, your made to feel so welcome and one of the nicest beaches we saw in 3 weeks in Fiji. Will definitely stay here again if I return to Fiji. Aquarius is on Wailoloa Beach with 4 other resorts. We paid a bit more to stay here vs the neighboring backpacker lodges, hoping for a better experience. Unfortunately, we don't feel that it was worth it. The included breakfast is tiny, and the paid options are overpriced. We were excited for dinner on Indian night and the food was terrible. After that we just went next door to Bamboo to eat. The wifi is fast and worked in the room. The grounds and room were clean enough. The sand at this beach is more like dirt than sand, and the water has zero visibility. We took the kayak out, but there is really nowhere interesting to go with it. We did see and incredible sunset. If you want a clean A/C room on the water with strong wifi for a one night stop over as you arrive/leave the airport it's fine and serves the purpose. 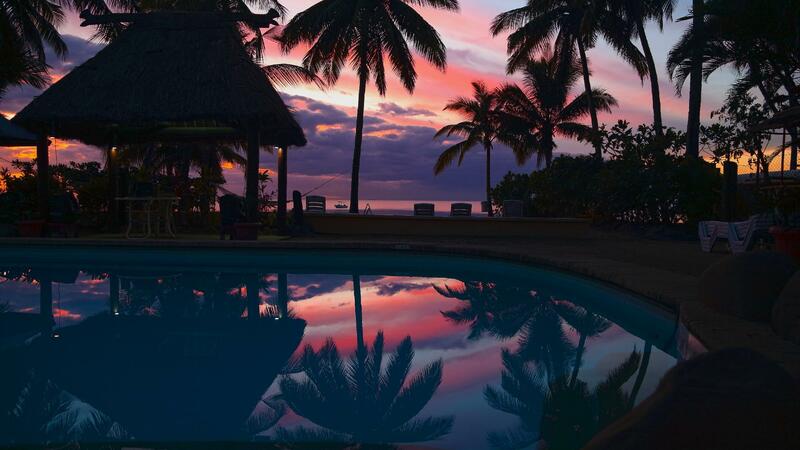 But for a real Fiji holiday you will want to quickly move on. We were only here for maybe 11 hours total because we needed to stay overnight in Nadi to catch our early morning flight back to East Asia. It was pouring after dinner, so we didn't get to enjoy the pool, beach, or our balcony -- all of which are big selling points for the money you spend. All the staff are friendly and helpful, and they even blew up red balloons for our anniversary. The room itself feels like someone's bedroom, the mattress (two twins put together) is soft, the TV only had 3 channels, one of which is stuck on a program, the bathroom felt dingy with only one towel rack, and no free water. Luckily, there's a shop and a few decent restaurants about 5-10's walk away.